Since the introduction of the lucrative feed-in tariff scheme, many solar companies have sought to offer free solar or ‘rent-a-roof’ schemes. Under the scheme, a solar company would install solar panels on your roof for no upfront cost and you’d benefit from free electricity for 25 years. The company would maintain the panels too, leaving you with no charges over the 25-year period. Is there a catch with free solar panels schemes? By having a company install solar panels you miss out on a lucrative return. To ensure you don’t miss out on this feed-in tariff payment, taking a loan and purchasing your own solar PV system could be the better option. As you can imagine, companies have a much better standing from the arrangement than homeowners and installing your own system would save you thousands in the long run. Not only will you continue to generate free electricity for your home, cutting your energy bills by up to £300 a year, but you’ll also earn a tax-free guaranteed income. But are free solar schemes still a good option? For those who aren’t in a financial position to pay the full solar panel installation costs or take out a loan, then free schemes do offer the opportunity for homeowners to reduce their bill and benefit from renewable energy. Of course, it’d be even better if you’re at home a lot during the day as you’d make a bigger saving, but free schemes should be considered. 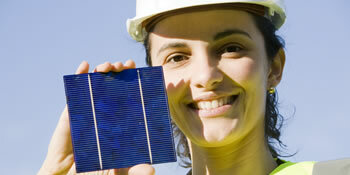 With our service you will hear from up to four companies offering free solar schemes. Just fill out your details and we’ll match your criteria with professional solar installers willing to supply you with free electricity.